Ravi Teja is a famous South Indian superstar and is one of the highest paid actors of South Indian film Industry. He has a huge fan following and is famous for his excellent comic timing. Ravi started his career as a supporting artist and now he is the most successful South Indian actor who has done many hit films. 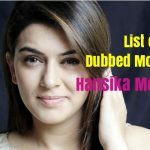 Here is the list of Hindi dubbed movies of Ravi Teja. Dongodu (2003) is a Telugu language comedy movie directed by Srinivasa Rao Bhimaneni. The film features Ravi Teja and Kalyani in the lead roles. The movie was a decent box-office success and dubbed in Hindi as ‘Chalu No. 1’. Plot: Madhava, a thief, is in love with the daughter of the landlord who procures his father’s property using dishonest means. A cop, who is in love with the same girl, frames Madhava for a crime. Itlu Sravani Subramanyam (2001) is a Tollywood romantic film written and directed by Puri Jagannadh. This film stars Ravi Teja, Tanu Roy, and Samrin in the main roles. It became a super hit at the box-office and dubbed in Hindi as ‘Yes Or No’. Plot: Two strangers meet at a suicide point and help each other die. But they are saved and go their separate ways. Both are set to get married but they flee from their respective homes at the last moment. Devudu Chesina Manushulu (2012) is a Tollywood fantasy-action-comedy film written and directed by Puri Jagannadh. The film stars Ravi Teja and Ileana D’Cruz in the lead roles. The film was utter flop and dubbed in Hindi under the title ‘Dadagiri’. Plot: The lives of two mortal orphans undergo a series of upheavals thanks to a quarrel between Goddess Lakshmi and Lord Vishnu. It all begins when the two mortals are caught in the drama of a don’s life. Veera (2011) is a Telugu language action comedy film directed by A. Ramesh Varma which features Ravi Teja, Kajal Aggarwal and Taapsee Pannu in the lead roles. The film was flop and dubbed in Hindi as ‘The Great Veera’. Plot: Rahul Dev plans to take a revenge on ACP Shaam for arresting him. Deva is appointed to provide security to Shaam’s family. Later, Shaam discovers that Deva is not appointed by government officials. Power (2014) is a Telugu action comedy film directed by K. S. Ravindra. It features Ravi Teja playing a dual role with Hansika Motwani and Regina Cassandra playing the female lead roles. The film was a hit and dubbed in Hindi as ‘Power Unlimited’. Anjaneyulu (2009) is a Telugu action film directed by Parasuram that stars Ravi Teja and Nayantara in the lead roles, while actors Prakash Raj and Sonu Sood play a pivotal role. It was a flop film and dubbed into Hindi as ‘Sher Dil’. 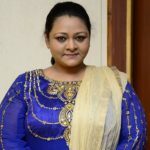 Plot: Anjaneyulu is a reporter at a news channel. His colleague Surya stumbles upon a murder conspiracy related to a mafia don. Soon Anjaneyulu too is involved in a racket between politicians and gangsters. Balupu (2013) is a Telugu action comedy film directed by Gopichand Malineni. The film stars Ravi Teja, Shruti Haasan and Anjali in lead roles, along with Prakash Raj, Adivi Sesh, Ashutosh Rana, and Brahmanandam in supporting roles. It was a super hit film and dubbed into Hindi as ‘Jani Dushmann’. Plot: Ravi, a collection agent for a bank, learns from his friend about a man and a woman who cheat gullible people. Soon, he resolves to teach the couple a lesson. Seetharama Raju (1999) is a Telugu, action film directed by YVS Chowdary. Starring Nagarjuna Akkineni, Nandamuri Harikrishna, Sakshi Shivanand, Sanghavi in lead roles while Ravi Teja was in supporting role. It was an average film and dubbed into Hindi as ‘Ek Aur Haqeeqat’. Plot: This is a story of two brothers who love each other a lot. The rivalry between the families of Sitaiah and Basava Raju leads to the death of Sitaiah and Ramaraju taking his revenge. Baladur (2008) is a Telugu action masala film directed by Udayasankar. Ravi Teja plays the lead role while Krishna, Anushka Shetty, Chandra Mohan, Pradeep Rawat, Sunil and Suman Setty play supporting roles. The film was flop and dubbed in Hindi as ‘Dhamkee’. Plot: Chanti highly respects his uncle, Rama Krishna. But he is thrown out of their house due to a misunderstanding. He then secretly helps his uncle win over his enemy, Umapati, in order to win his heart. Neninthe (2008) is a Telugu masala film written and directed by Puri Jagannadh. Ravi Teja plays the lead role while Siya is the female lead. Though this film failed miserably at the box office, it won three Nandi Awards. The movie was dubbed in Hindi as ‘Ek Aur Vinashak’. Plot: Ravi, a struggling assistant director, befriends the pretty Sandhya and casts her in his maiden film. But when a rich goon named Yadu tries to destroy his work, he has to step up and fight. Mirapakay (2011) is a Telugu-language action comedy film, directed by Harish Shankar. The film stars Ravi Teja, Richa Gangopadhyay, and Deeksha Seth in the lead. The film was blockbuster at the box-office and dubbed in Hindi as ‘Khallas’. Plot: Rishi, an inspector, must eliminate a mafia leader, Kittu, in order to stop his evil plans. He decides to lure Kittu’s daughter, Vaishali, in order to pursue and arrest the mafia leader. Dubai Seenu (2007) is a Telugu comedy film directed by Srinu Vaitla, starring Ravi Teja in the lead role and Nayantara. The film was average and dubbed in Hindi as ‘Loafer’. Plot: Madhumati’s brother is killed by Jinna, an underworld don. She comes to Mumbai and falls in love with Srinivas. Both of them decide to take revenge against Jinna. Krishna (2008) is a Telugu romantic action comedy film directed by V. V. Vinayak, starring Ravi Teja and Trisha Krishnan. It was a super hit film and dubbed into Hindi under the title ‘Krishna: The Power of Earth’. Plot: Krishna is a kind-hearted guy who gives up a lucrative job offer to a needy friend. After initial hiccups, he falls in love with a don’s sister. The couple is soon caught between a gang war of sorts. Bhadra (2005) is a Telugu action film directed by director Boyapati Srinu which featured Ravi Teja, Arjan Bajwa and Meera Jasmine in the lead roles. It was a hit film and dubbed in Hindi as ‘Badala’. Plot: Bhadra falls in love with his friend Raja’s sister, Anu. When a rival gang attacks and kills Raja’s family, Bhadra manages to rescue Anu and hides her in his home to protect her from the killers. Daruvu (2012) is a Telufantasy-action-comedy film written and directed by Siva, starring Ravi Teja and Taapsee Pannu in lead roles. It was an utter flop movie and dubbed in Hindi under the title ‘Jeene Nahi Doonga’. Plot: Bullet Raja is killed by Babu, a goon, because both love the same girl. Bullet fights with the god of death and is sent back into the body of Ravindra, a minister who was killed by his own associates. Bhageeratha (2005) is a Telugu comedy-romance movie directed by Rasool Ellore. The film stars Ravi Teja and Shriya Saran in the lead roles. The film was average and dubbed in Hindi as ‘The Return of Sikander’. Plot: The movie is about Chandu who obeys his father’s orders, and goes to find out why Venkata Ratnam, the realtor, is taking so much time in making a bridge that will help the villagers. Shock (2006) is a Telugu action film directed by Harish Shankar. The film stars Ravi Teja and Jyothika. The mov an e was utter flop and dubbed in Hindi as ‘Kick Returns’. Plot: Sekhar and Madhurima’s happily married life is ruined when he’s falsely accused of being a ‘Maoist’ by corrupt officials. Madhurima and Geeta, a journalist, try to prove his innocence but to no avail. Don Seenu (2010) is a Telugu action comedy film directed by a debutant Gopichand Malineni, starring Ravi Teja and Shriya Saran in the lead roles while actor Srihari and Anjana Sukhani were also a part of the film. The film was hit at the box-office and dubbed into Hindi as ‘Sabse Bada Don’. Plot: Seenu has only one ambition and that is to become a don. He joins hands with one of the city’s gangster and gains his trust. However, he is caught in a fix when he goes on a mission to Germany. Vikramarkudu (2006) is a Telugu action film directed by S. S. Rajamouli, starring Ravi Teja, Anushka Shetty and Vineet Kumar in the lead roles. The film was super hit and dubbed in Hindi as ‘Pratighat’. Plot: Sathibabu, who resembles Rathore, not only adopts his daughter after his death but even takes his place as a police officer. His mission is to finish the evil Babuji, who is known for his atrocities. Khatarnak (2006) is a Telugu action film directed by director Amma Rajasekhar, starring Ravi Teja and Ileana D’Cruz in the lead roles. This film was an utter flop at the box-office and dubbed in Hindi as ‘Main Hoon Khatarnak’. Plot: A don hires Dasu to work for him with the police as an undercover informer. However, things do not go as planned when Dasu has to kill a man. Naa Autograph (2004) is a Tollywood drama film directed by S. Gopal Reddy. The film stars Ravi Teja as the protagonist, with Bhumika Chawla, Gopika, Mallika and Prakash Raj playing other important roles. This film was flop and dubbed in Hindi as ‘Thokar’. Plot: Old memories are revived as Seenu distributes his wedding invitations. He recollects the various love interests from his past. From his childhood love to the girl who taught him to value hard work. Nippu (2012) is a Telugu-language action-romance film, directed by Gunasekhar, starring Ravi Teja and Deeksha Seth in the lead. It was a flop film and dubbed in Hindi as ‘Main Insaaf Karoonga’. Plot: Surya is shocked when his friend Sriram is accused of killing his girlfriend, Vaishnavi. In order to save him, Surya needs her father to sign an acquittal. But, the girl’s father is Surya’s old enemy. Shambo Shiva Shambo (2010) is a Telugu language action drama film directed by Samuthirakani. It stars Ravi Teja, Allari Naresh, Siva Balaji, Priyamani, and Abhinaya in the lead roles.This film was declared a box-office hit and dubbed in Hindi as ‘Mera Krodh’. Plot: Three friends go to great lengths to help unite two lovers against the wishes of their powerful parents. But, the sacrifice made by the friends goes in vain, when the couple parts ways after a while. Sarocharu (2012) is a Telugu romantic action comedy film directed by Parasuram starring Ravi Teja, Kajal Aggarwal and Richa Gangopadhyay in the lead roles. The film didn’t work well at the box-office and dubbed into Hindi as ‘Jabardast Aashiq’. 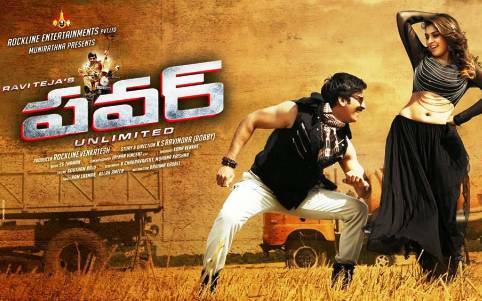 Kick 2 (2015) is a Telugu action comedy film directed by Surender Reddy. It features Ravi Teja and Rakul Preet Singh. The film performed well at the box-office and was also dubbed into Hindi as ‘Jigarwala no 1’. Plot: NRI doctor Robin arrives in India to set up a hospital on property that has been usurped by Durga. This successful feat leads him to a village far away, where he has to find the true meaning of life.